Are they ever done? But this is close! Almost Ready for the Body Shop? Pioneer AVH-P5200DVD with 1800 watts, XM radio & GPS. This picture was taken after I found a hood at CW Moss. 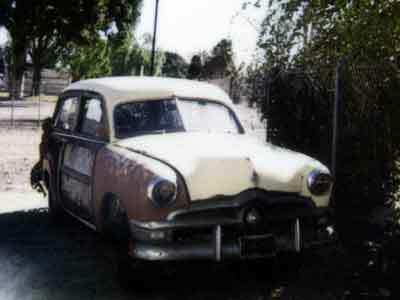 The car was stored like this for a couple of years at the Troop 36 Scouthouse. 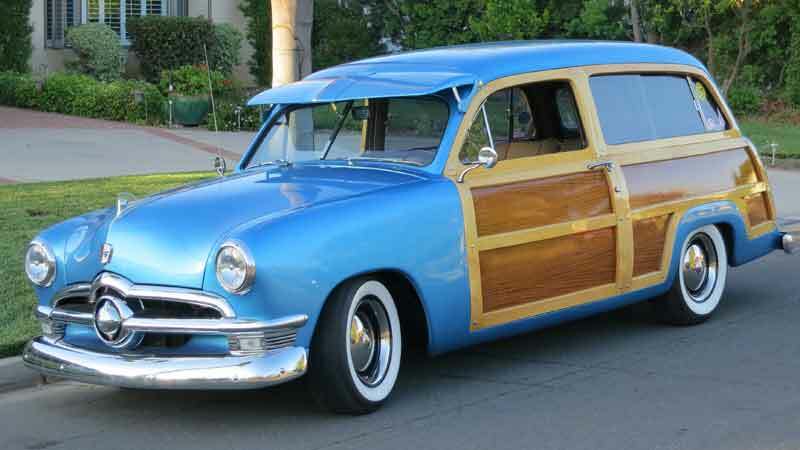 This was the first picture taken of the Woodie. It must have been Christmas, 1997. The hood was so rotted out, it would just bend when you tried to open it! It was stored like this for a few more years before I finally started to work on it.